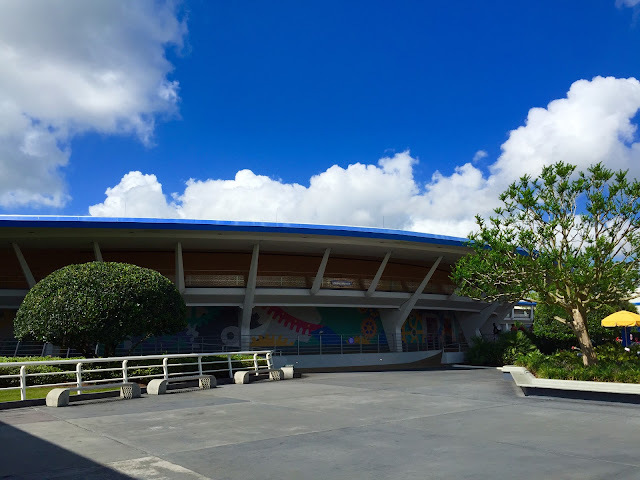 Although Carousel of Progress isn't the most popular spot in the Magic Kingdom, it is historically significant. This is the only attraction that Walt Disney himself physically worked on. Originally debuting at the 1964 World's Fair, it was moved to Disneyland, where it stayed until 1973. In 1975, it opened in its current location in Tomorrowland. I took this shot yesterday, while my tour guests were enjoying the revolving theater show.